Assured Tree Services is a locally owned and operated family business that has specialised in tree management in Perth for over 15 years. 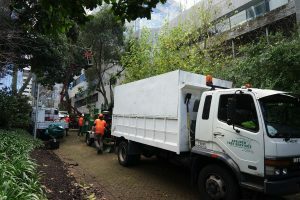 Our wealth of experience and knowledge allows us to provide a wide range of professional tree services to residential, commercial and government clients across all Perth metropolitan areas. With over 15 years in the business, our highly trained, experienced and professional team can provide quality tree management solutions for all small and large trees of varying species, including trees that are difficult to access and dangerous trees. The staff at Assured Tree Services are very friendly and approachable, and will complete each job to your full satisfaction. Our team are punctual, fast and efficient and can offer expert advice on all your tree needs. We offer competitive pricing with a high standard of workmanship. The owner Steve Merks can meet you onsite to provide you with an obligation free quote or assess your tree needs at your request and leave your quote in your letterbox or via email. At Assured Tree Services, we take our view on the safety of our clients and employees very seriously. We ensure all our staff are qualified and have the right specialised equipment for the job. Our team possess qualifications in Senior First Aid, OH&S, chainsaw use, elevated work platforms, climbing and arboriculture. We also have the certifications to undertake High and Low Voltage powerline and houseline clearances as per Western Power specifications. All our equipment is safety-checked regularly to ensure our standard of safety is always maintained. We are also members of the Tree Guild of WA. Our large range of specialist equipment allows us to assist you with even the most difficult types of tree management in Perth. 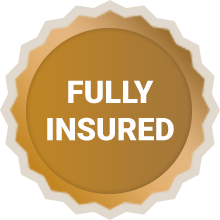 All our equipment is fully insured, inspected, serviced and maintained in accordance with regulatory authorities and manufacturers specifications. If you’re in Perth and have a tree related enquiry, please contact us at Assured Tree Services or call us today on 0417 938 353 for a free quote.